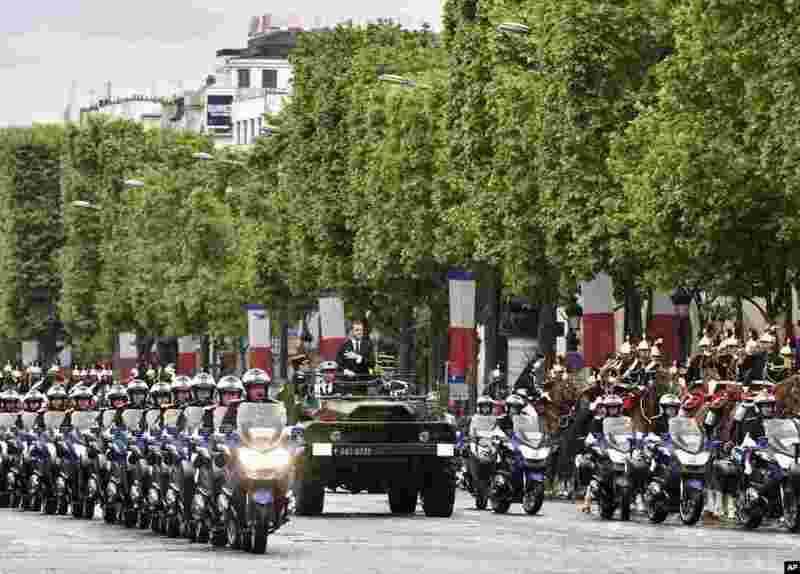 1 Newly-elected President Emmanuel Macron parades on a military car following his formal inauguration ceremony as French President in Paris. 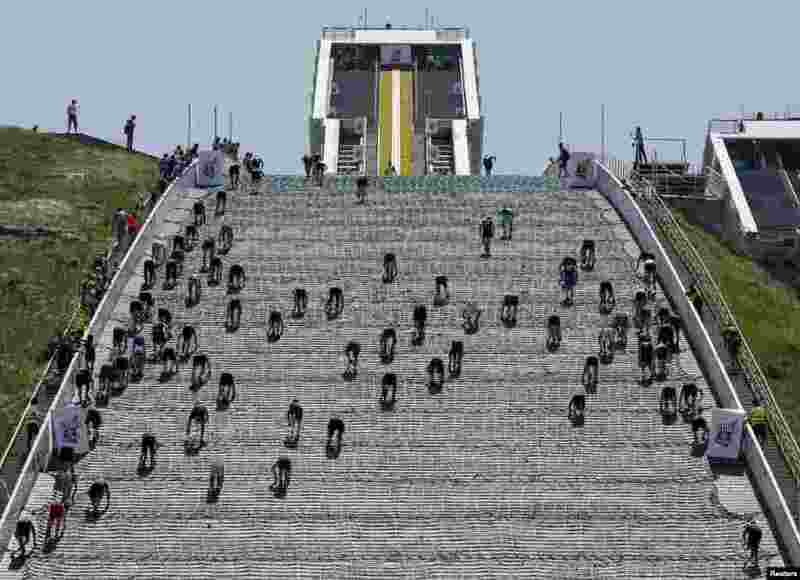 2 Athletes compete during the Red Bull 400 uphill sprint at the Sunkar International Ski Jumping Complex in Almaty, Kazakhstan. 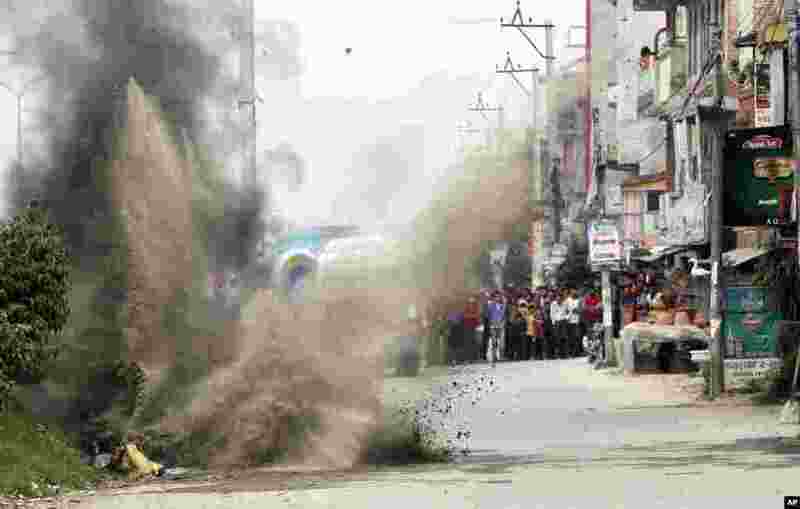 3 Nepalese Army's bomb disposal team detonates the explosives during the local election in Bhaktapur. 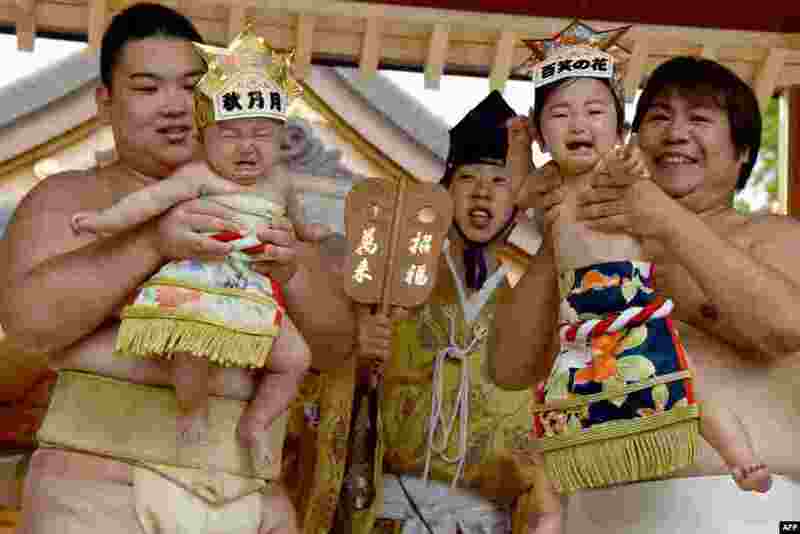 4 Sumo wrestlers hold up crying babies in front of a referee (C) clad in a traditional costume during a "Baby-cry Sumo" event at the Kamegaike-Hachiman Shrine in Sagamihara, Kanagawa prefecture, Japan.